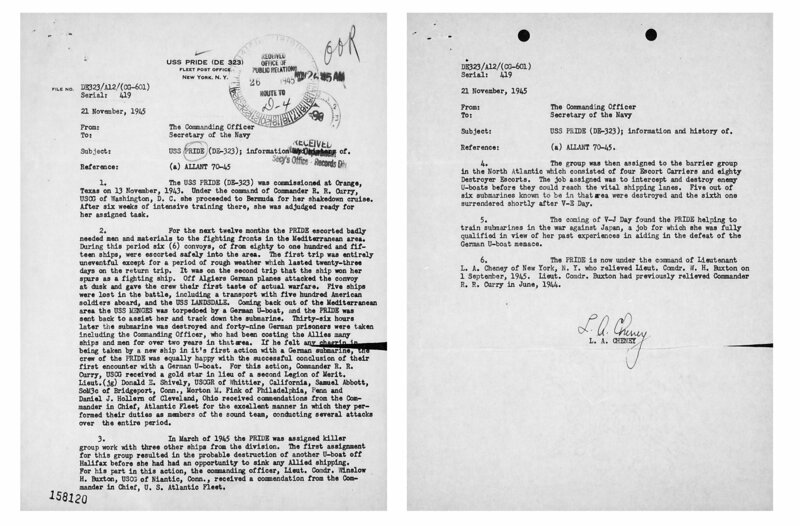 12 April 1943: Keel laid at the Consolidated Steel Co., Orange, Tex. 03 July 1943: Launched and christened, sponsored by Mrs. Lewis Bailey Pride, mother of Ensign Lewis Bailey Pride, Jr.
7k Lewis Bailey Pride, Jr., born at Miami, Fla. on 22 April 1919, was appointed Midshipman from Kentucky 23 June 1937. 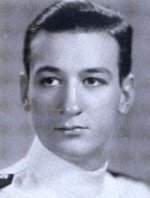 He was commissioned an Ensign 07 February 1941, and reported on board Oklahoma 13 March 1941. 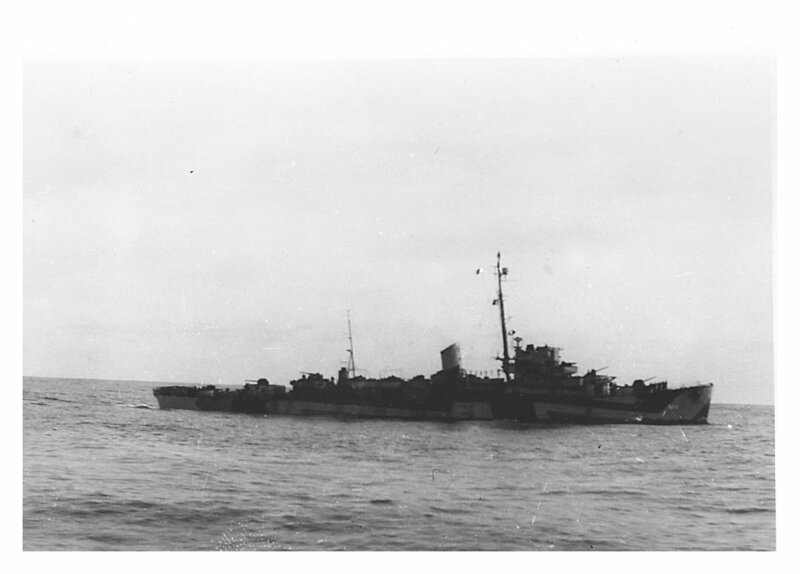 Ensign Pride and 428 shipmates were killed in the Japanese attack on Pearl Harbor on 07 December 1941. 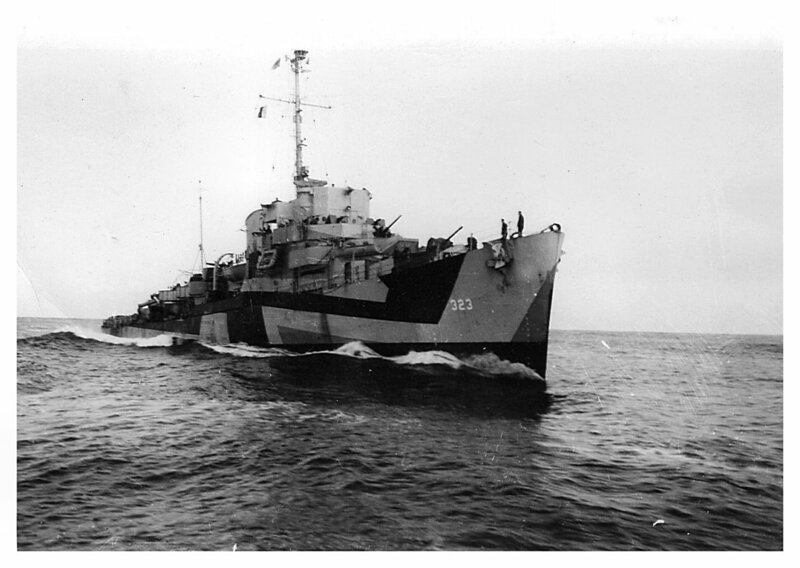 USS Pride (DE 323) (1943 - 1946) was the first ship named in his honor. 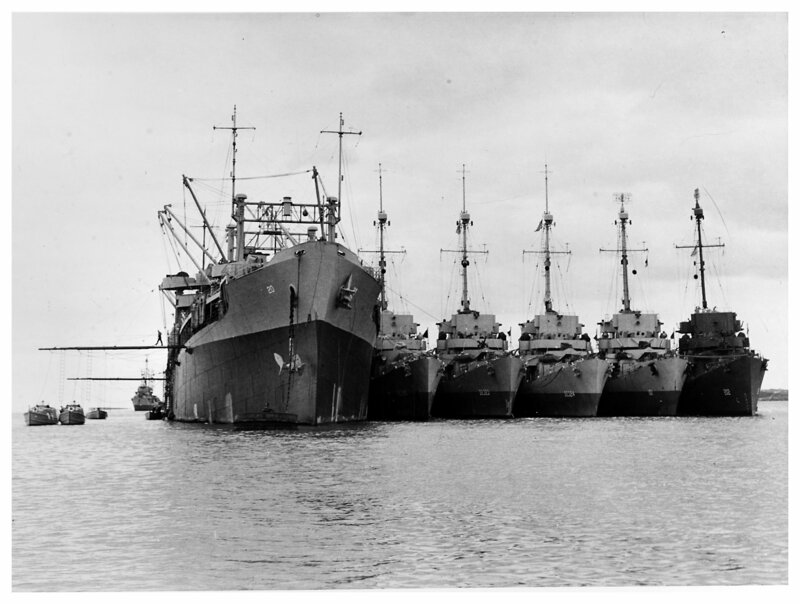 56k early 1944: USS Hamul (AD 20) with (from left to right) DEs USS Calcaterra (DE 390); USS Pride (DE 323); USS Falgout (DE 324); USS Alger (DE 101) and USS Eichenberger (DE 202), alongside at Bermuda. Note HF/DF antenna visible on three of the five DEs, and the two-tone Measure 22 camouflage on four of the five DEs. 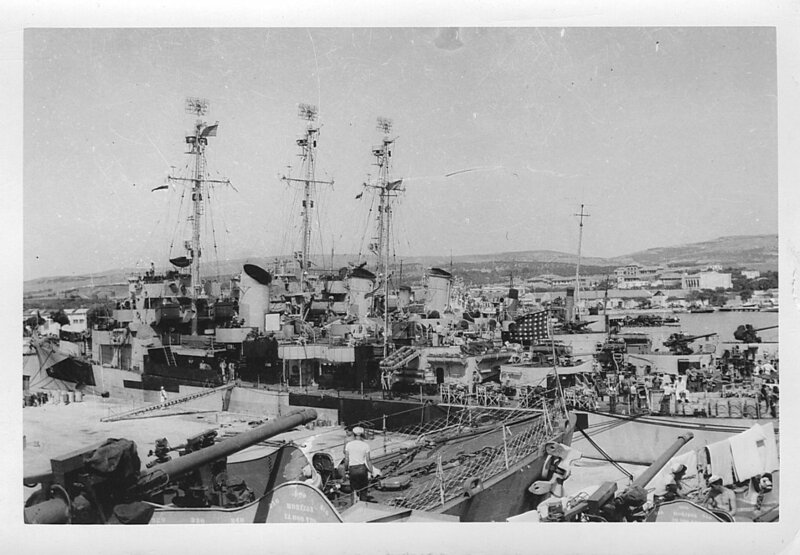 236k 1944: Pride nested with other DE's in an unknown Mediterranean port. 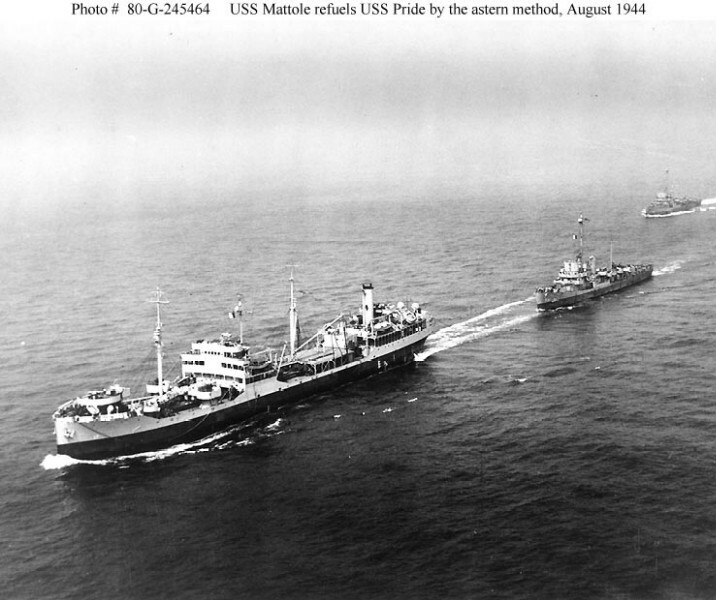 95k USS Mattole (AO 17) refueling Pride by the astern method, 17 August 1944. 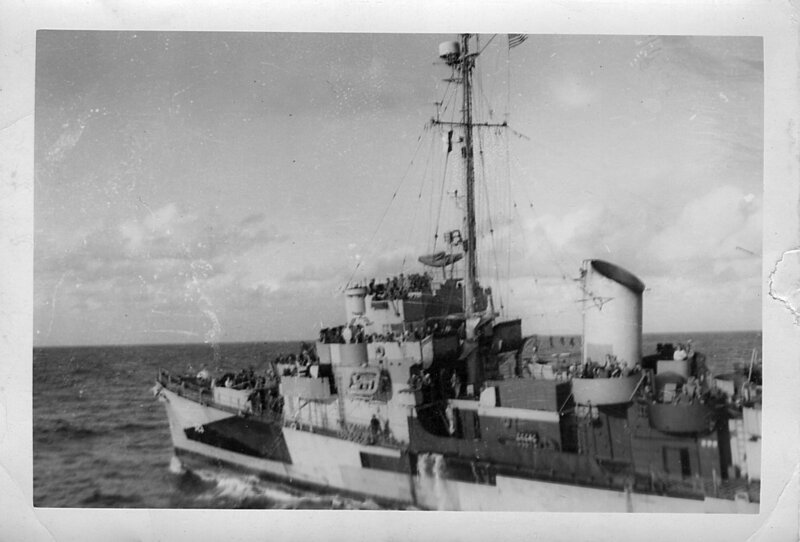 USS Newell (DE 322) is approaching from the far right. 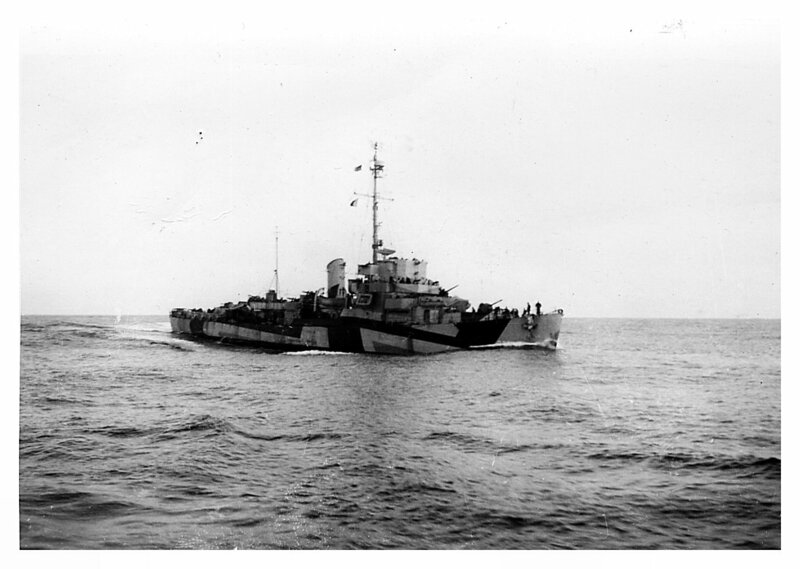 View the USS Pride (DE 323) DANFS history entry located on the Naval History and Heritage Command web site. 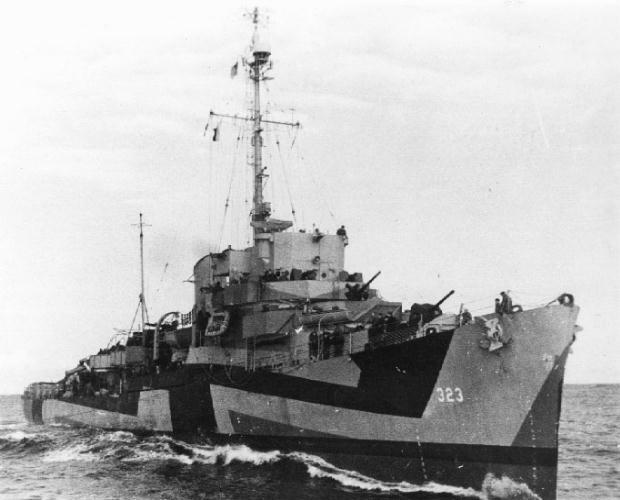 View the official War History of USS Pride as submitted by the ship at war's end.